As the world moves towards virtual reality, augmented reality, I bring to the world my own device to do 3D visualization, from my company, Artosci. This is HOLOFIL. The product of my company Artosci at Amsterdam Science Park. 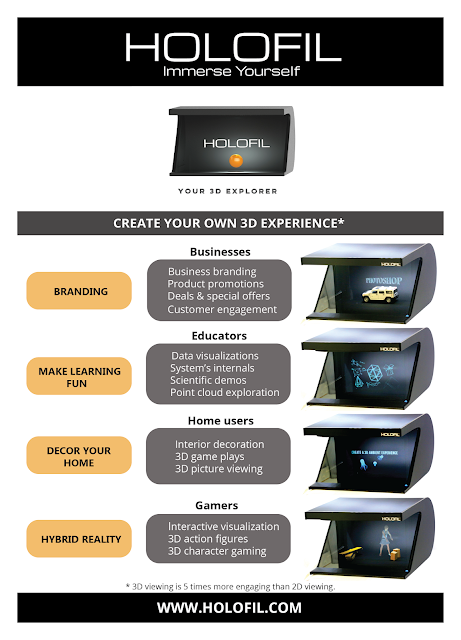 Check us out at www.holofil.com for more details. We have our first customer in Amsterdam and as we do marketing and sales related activities, we get more and more prospective customers.